Beans are one of the most important staple crops in the world. Runner bean (Phaseolus coccineus L.) is a small-scale agriculture crop compared to common bean (Phaseolusvulgaris). Beans have been introduced to Europe from the Central America to Europe and since then they have been scattered to different geographical regions. This has resulted in the generation of numerous local cultivars and landraces with distinguished characters and adaptive potential. To identify and characterize the underlying genomic variation of two very closely related runner bean cultivars, we performed RNA-Seq with de novo transcriptome assembly in two landraces of P. coccineus, ‘Gigantes’ and ‘Elephantes’ phenotypically distinct, differing in seed size and shape. The cleaned reads generated 37,379 and 37,774 transcripts for ‘Gigantes’ and ‘Elephantes,’ respectively. A total of 1896 DEGs were identified between the two cultivars, 1248 upregulated in ‘Elephantes’ and 648 upregulated in ‘Gigantes.’ A significant upregulation of defense-related genes was observed in ‘Elephantes,’ among those, numerous members of the AP2-EREBP, WRKY, NAC, and bHLH transcription factor families. In total, 3956 and 4322 SSRs were identified in ‘Gigantes’ and ‘Elephantes,’ respectively. Trinucleotide repeats were the most dominant repeat motif, accounting for 41.9% in ‘Gigantes’ and 40.1% in ‘Elephantes’ of the SSRs identified, followed by dinucleotide repeats (29.1% in both cultivars). Additionally, 19,281 putative SNPs were identified, among those 3161 were non-synonymous, thus having potential functional implications. High-confidence non-synonymous SNPs were successfully validated with an HRM assay, which can be directly adopted for P. coccineus molecular breeding. These results significantly expand the number of polymorphic markers within P. coccineus genus, enabling the robust identification of runner bean cultivars, the construction of high-resolution genetic maps, potentiating genome-wide association studies. 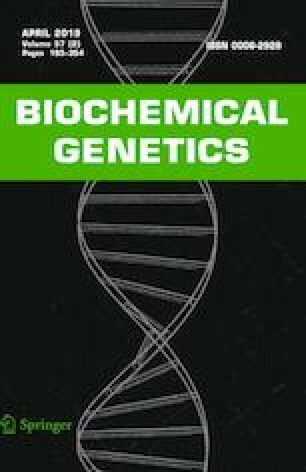 They finally contribute to the genetic reservoir for the improvement of the closely related and intercrossable Phaseolus vulgaris. The online version of this article (doi: https://doi.org/10.1007/s10528-019-09920-6) contains supplementary material, which is available to authorized users. This research has been co-financed by the European Union and Greek national funds through the Operational Program Competitiveness, Entrepreneurship and Innovation, under the call RESEARCH – CREATE – INNOVATE (Project Code: T1EDK-04718).